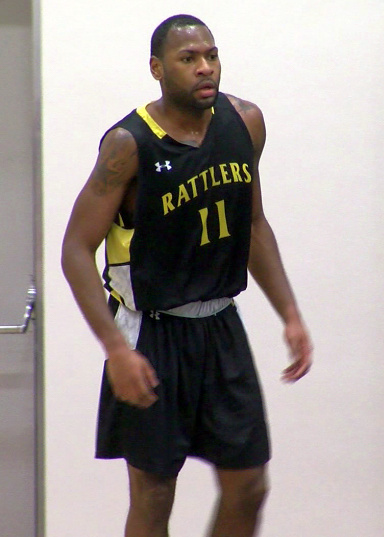 Kieron Burgess led his Medicine Hat College Rattlers Basketball teammates to a 18 point victory over St Mary’s University. Medicine Hat College would record a 90 – 72 victory, they would lead by 4 points after the First Quarter leading 22-18, Medicine Hat College would lead 38 – 32 at the half time break. Medicine Hat College would open up a 17 point lead at the end of the Third Quarter after outscoring St. Mary’s University 28-17, Medicine Hat College would then score 24 points in the final Quarter and held St. Mary’s University to 23. Burgess would score a team high 24 points, playing 39 minutes, Burgess went 8 for 18 from the Floor, 8 for 14 from the Free Throw Line, he would grab 23 Rebounds, he would have 3 Assist and 1 Steal.